This work takes the research completed by Alistair Smith together with the practical methods developed by Nicola Call and presents them in an easy-to-follow model. This book contains hundreds of practical examples of success. 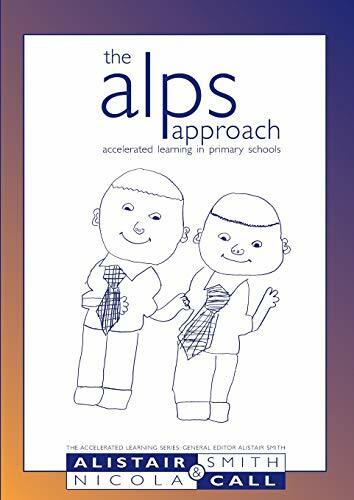 The ALPS Method will show anyone who works in primary classrooms how to motivate, stimulate and inspire the children in their care. Accelerated Learning in Primary Schools takes the research completed by Alistair Smith together with the practical methods developed by Nicola Call and presents them in an easy-to-follow model. This book contains hundreds of practical examples of success. The ALPS Method™ will show anyone who works in primary classrooms how to motivate, stimulate and inspire the children in their care. The ALPS Method™ includes: How to design your day Teaching the skills of attention A model for motivating every child 20 strategies for positive learning behaviour Target setting that works The best methods for feedback and marking Music and movement in learning How to improve performance in tests Techniques to improve memory Ideas for Literacy and Numeracy Sample timetables. Alistair Smith is a leading trainer in modern learning methods and his techniques are used with startling success by thousands of teachers and parents in the UK and abroad. He is the chairperson of Alite; a company he founded to work in the field of motivation, learning and training. Alistair has written award-winning books, featured on radio and television programmes, and spoken at conferences internationally.